This week, I reached out for — we're getting serious now — a Smokehouse Beef Short Rib Sandwich from America's most creative sammie maker, Arby's, with 3,300 restaurants piling on the meats. Beef Short Rib comes fast on the heels of the Bourbon BBQ Brisket Sandwich, and it's the most high-falutin' offering yet in Arby's Smokehouse brand, which started in 2013 with the Smoked Brisket Sandwich, the most successful new product launch in Arby's history. It's noteworthy that the Smoked Brisket Sandwich is the only one to make Arby's permanent menu. All other are limited time only — we call them "LTO" in the trade. Here's the Smokehouse Beef Short Rib Sandwich breakdown: pulled smoked short rib meat, melting cheddar cheese, crispy breaded onion shards, and smoky BBQ sauce on big Texas toast. "Crispy" means deep-fried — more trade talk for you. Total calories: 590. Fat grams: 28. Sodium: 1,510 mg. Carbs: 59 g. Dietary fiber: 4 g. Protein: 26 g. Manufacturer's suggested retail price: $6.49. Arby's Smokehouse sandwiches keep raising the stakes. This time, the short rib meat, smoked six hours over mesquite, is more tender than the brisket and ham found in the other Smokehouse sandwiches. Because the meat is pulled in small pinches, it mixes more evenly with the smoky sweet sauce. It's just an easier, neater sandwich to eat. Just be careful of spillage out the other side. Another improvement is the bread. Instead of the same old, same old burger bun, the Beef Short Rib Sandwich is served on thick, warm Texas toast. It takes a good heaping of meat not to get lost in the bread, and Arby's doesn't short customers on the short ribs. The crispy onion and cheddar round out this well designed, thoughtful handful of a mouthful. 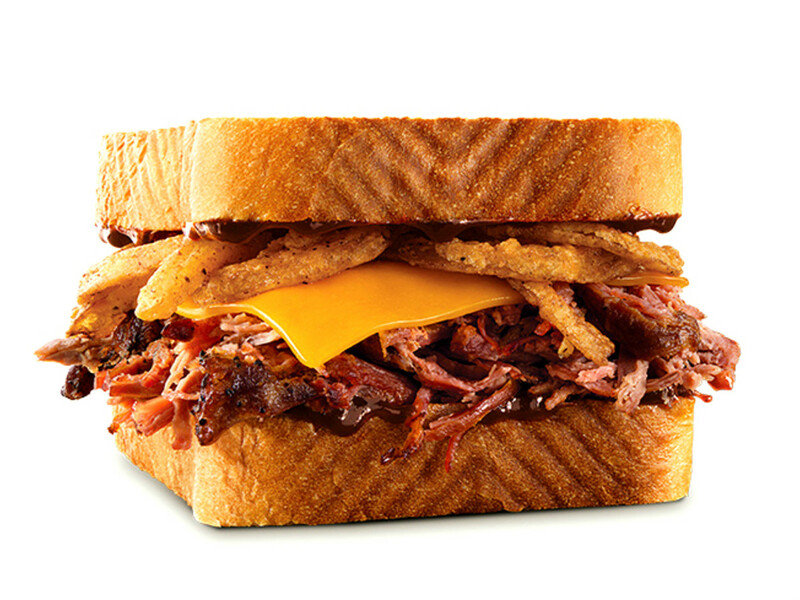 For those who can't get enough of smoky short ribs, Arby's also has a new Smoke Mountain Sandwich with pulled short rib meat, smoked pit ham, smoked brisket, cheddar, onions, and sauce on Texas toast for $7.49. 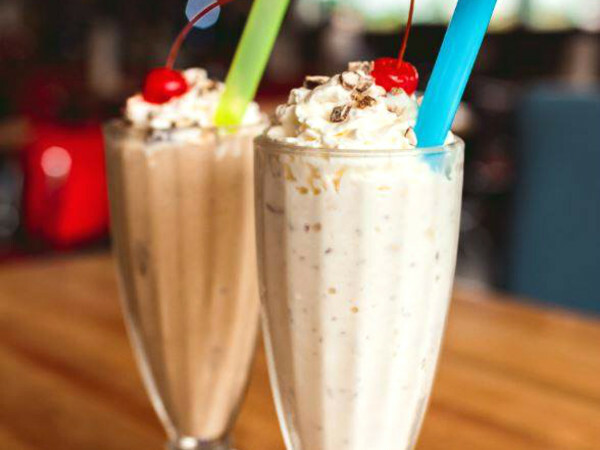 It packs 740 calories and 35 fat grams. And if you still need short ribs on the side, there's Beef Short Rib Loaded Curly Fries, with short rib meat, shredded cheddar, melted cheddar, onions, and sauce smothering a smatter of Arby's signature seasoned curly fries. The calories are heavy-duty (730); the fat grams staggering (75). Information is knowledge. Now you know.